1. Fairmont Mayakoba: Book the Mayakoba Escape package at Fairmont Mayakoba, a 401-room, 47-acre, jungle-meets-beach enclave (shown above) in Mexico’s scenic Riviera Maya (just south of Cancún), and get a 30 percent room discount, plus a $50 resort credit, daily buffet breakfast, a free upgrade (based on availability), and complimentary margaritas for two when dining at the resort’s El Porto or Las Brisas restaurants. 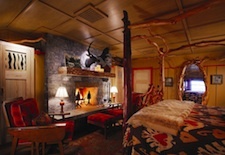 Rates start at $199/night and the offer is valid for stays between November 28 and December 23, 2011. 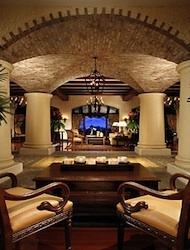 Visit the Fairmont Mayakoba website and book the Mayakoba Escape package. 2. Hyatt Santa Barbara: If you’re California dreaming, this recently renovated, 171-room resort in Santa Barbara (shown at right) is offering 25 percent off its best available rates (which start at $189 before the discount), plus complimentary breakfast for two and parking. Valid for Sunday to Thursday stays between December 1, 2011, and March 29, 2012 (some blackout dates do apply). 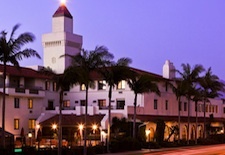 Visit the Hyatt Santa Barbara website and enter code CYBM in the Special Offer Code field. 3. Aruba Marriott Resort & Stellaris Casino: Book two nights and get two nights free (that’s a 50 percent savings) at this recently refurbished 411-room resort located on Palm Beach in sunny Aruba. Rates start at $359/night and the offer is valid for stays from April 22 through December 21, 2012. 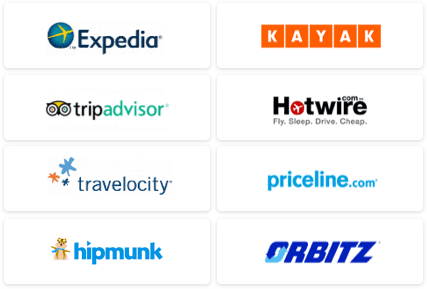 Visit the Aruba Marriott website and enter promo code D52. 4. Kura Hulanda Resorts: This pair of resorts – including both the romantic and historic Hotel Kura Hulanda Spa & Casino located in Curaçao's capital at Oranjestad (shown at left) and the bright and casual Lodge Kura Hulanda & Beach Club on the coast – are offering up to 33 percent savings with their book two nights and get a third free promotion. 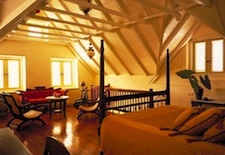 Promotional rates start at $180/night (in Oranjestad) and $230/night (at the beach) and are valid for travel through December 23, 2012 (with blackout dates of December 24, 2011, through January 2, 2012). Check the Kura Hulanda website and e-mail reservations@kurahulanda.com to request the Black Friday special. 5. San Juan Marriott Resort & Stellaris Casino: Save 30 percent off any reservation booked on November 28, 2011 (bringing rates down to $132/night), at this vibrant and well-located 525-room resort in San Juan, Puerto Rico's, chic Condado neighborhood. The promotion is valid for stays until December 24, 2011, and from April 10 through September 30, 2012; visit the San Juan Marriott Resort website and enter promo code D3Q. 6. OPUS Hotel Vancouver: The stylish 96-room OPUS Hotel in scenic Vancouver's trendy Yaletown neighborhood is offering a Lights Out package for $190/night (usually $266/night) that includes a stay in an Executive King Suite (shown at right), martinis for two, an OPUS Perks Card offering exclusive deals at 14 neighborhood retailers, VIP access to OPUS Bar, and breakfast at the hotel’s Cento Notti restaurant. Visit the OPUS Vancouver website and click on Special Offers. 7. Los Suenos Marriott Ocean & Golf Resort: Couples looking to relax in lush, tropical Costa Rica can enjoy savings of 35 to 55 percent at this beautiful 201-room property on the Pacific coast, featuring colonial architecture (shown at left) and an 18-hole golf course. 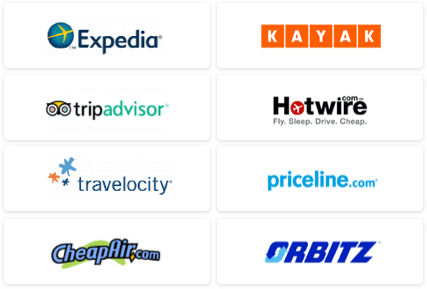 Rates start at $129/night for travel from January 1 to December 20, 2012 (some blackout dates do apply). Visit the Marriott Hotels & Resorts of Costa Rica website and enter promotional code PR5. 8. Vanderbilt Grace: Newport, Rhode Island, with its Gilded Age mansions, makes a great pre-holiday getaway, especially so now that you can save 20 percent on any room or package (rates start at $275/night before discount) booked on November 28, 2011, at this circa-1909, 33-room mansion-turned-luxury-hotel. 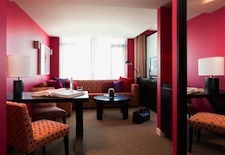 Visit the Vanderbilt Grace website and use the code CYBER when booking. 9. Lake Placid Lodge: You have an entire week (from November 28 until noon on December 4) to snag a deal of up to 50 percent off select rooms (meaning prices begin at $250/night) for stays over the next four months at this luxurious lakefront retreat in upstate New York, replete with Adirondack decor and 50 stone fireplaces (shown at right). Also available: a 30 percent discount on Mountain View Cabins for the winter season. Visit the Lake Placid Lodge website and click on Special Offers. 10. Casa Magna Marriott Cancun Resort: If a visit to Cancún in February or March is on your radar, you can grab a $99/night rate (a savings of 65 percent) at this 450-room beachfront resort, plus get a $50 resort credit and a free upgrade (subject to availability). Valid for travel from February 16 through March 31, 2012, visit the Casamagna Marriott Cancun website and enter promo code D50 to book. Note: There are also 58 percent savings on offer at the JW Marriott Cancun Resort & Spa, where Cyber Monday rates start at $179/night. Visit the JW Marriott website and enter promo code D50. See our Cancun Travel Guide, Riviera Maya Travel Guide , Aruba Travel Guide, San Juan Travel Guide, Curacao Travel Guide, Costa Rica Travel Guide, Rhode Island Travel Guide, Lake Placid Travel Guide, or Vancouver Travel Guide for more trip-planning information, then use our Travel Search price comparison tool to find the lowest rates on flights, hotels, packages, and more travel deals.